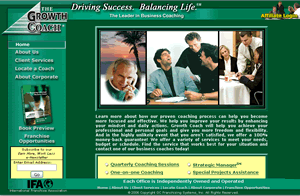 "The on-line Growth Coach store far exceeded our expectations. The exclusive site Palmer Promotions developed for Growth Coach and our franchise owners is impressive. Very user friendly, easy to navigate, with around-the-clock accessibility. You and Venetta have made it so simple and convenient for our coaches to shop for, order, pay for, and receive their promotional and marketing tools on a timely basis. The on-line Growth Coach store far exceeded our expectations. The exclusive site Palmer Promotions developed for Growth Coach and our franchise owners is impressive.